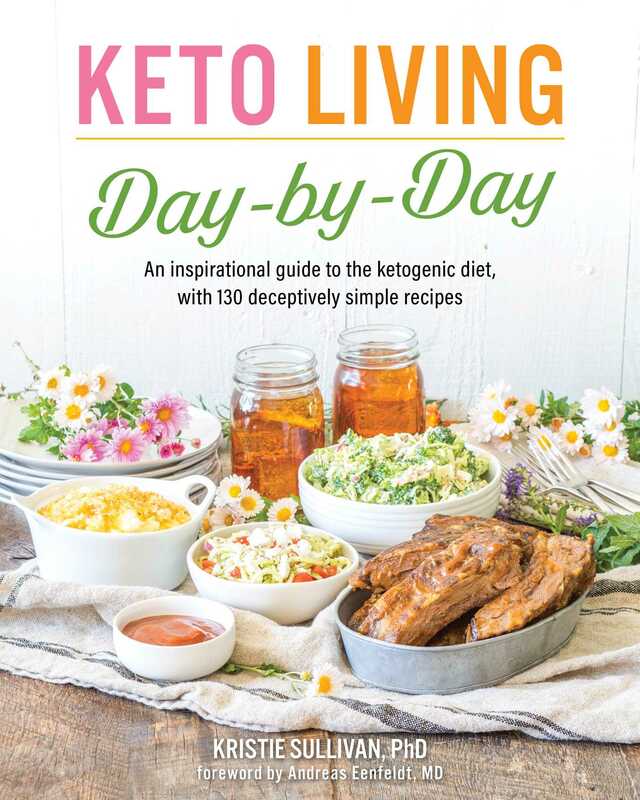 In her new book, Keto Living Day by Day, Kristie Sullivan brings you along on her inspiring journey to health and happiness through adopting a low-carb, high-fat lifestyle. She shares the failures she experienced when using today’s overly prescribed high-carb, low-fat (and also sugar-laden) diets and details how the ketogenic diet helped her lose more than 100 pounds! Kristie hopes that her story will inspire you to take charge of your own life and find your unique path to wellness. With her approachable and sensible philosophy and techniques, you too can use the keto template to overcome challenges, develop a truly healthy mindset, and shed unwanted pounds. Keto Living Day by Day will help you banish your fear of eating fat and embrace a scientifically proven and highly effective nutritional path. Keto Living Day by Day offers a real-world approach to low-carb/keto dieting. Kristie walks you through every step, starting with a simple and easy-to-understand breakdown of the nutritional science behind keto. She provides examples to match many of the scenarios that people encounter when starting a ketogenic diet and offers solutions for each, enabling you to find the most successful path for your needs. Section two of the book features a daily guide to help you make the keto way your way. Starting on day 1, Kristie shows you how to understand the challenges involved in making the transition, navigate around obstacles, and track your progress. She also offers tips for staying on course in social settings and when dining out, as well as foolproof ways to face down temptations. In addition, Keto Living Day by Day features a detailed preparation guide that includes advice on stocking your pantry with keto essentials and a day-by-day guide to implementing a ketogenic lifestyle. For maximum success, Kristie brings you her best tips for meal planning and preparation along with budget-friendly shopping guidelines. Keto Living Day by Day concludes with more than 130 easy-to-love keto recipes that Kristie has used to nourish herself, her family, and her friends. These recipes are easy to follow and are designed for people who enjoy mouthwatering meals but want to minimize time spent in the kitchen. The ingredients used in the recipes are readily available; most can be found at your local grocery store. Keto Living Day by Day not only details Kristie’s inspiring journey, but also shows you how you can learn from her experience and use the keto template to lose weight and rediscover health.